The XSEDE system supports a wide variety of research needs. We use use cases to keep track of the specific ways that researchers use the XSEDE system. Each use case describes a single thing that one can do using XSEDE. 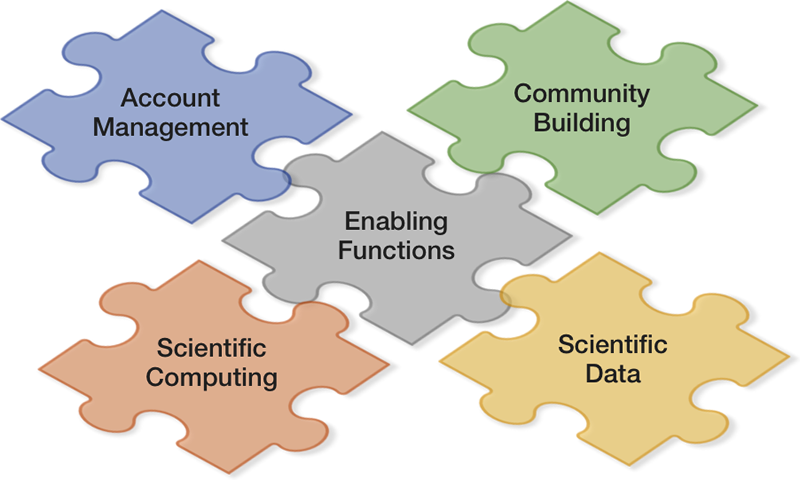 At a high level, XSEDE currently supports four kinds of activities: scientific computing, scientific data, account management, and community building. These four activities are made possible by an underlying set of enabling functions. In the diagram below, hold your pointer over each block to see specific activities. Click a block to explore the use cases within each activity.